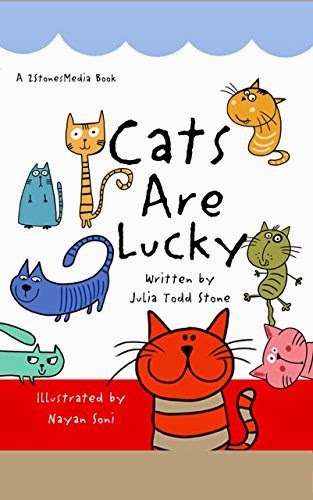 Julia Stone's "Cats Are Lucky!" is a well-written, fresh picture book about cats. With words that sound great read aloud, Stone writes about all the fun things cats can do, such as cling to windows. The illustrations are vivid and engaging and work well with the text. Unlike a lot of picture books, this book looks fantastic on the Kindle. This book is sure to have your young one laughing! A great buy for anyone looking for a new bedtime story for a child!